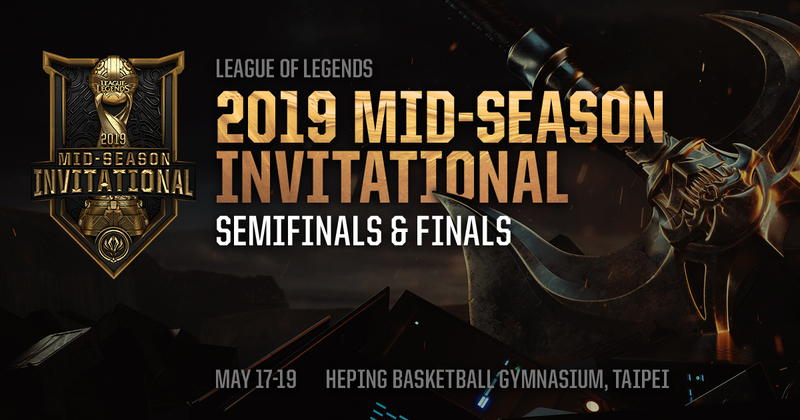 We are incredibly excited to announce that the 2019 Mid-Season Invitational is heading to Asia. 2019 marks the first major global event ever to take place in Hanoi and Ho Chi Minh City, and the first Mid-Season Invitational to take place in Taipei. Hanoi and Ho Chi Minh City will host the Play-In Stage and Group Stage respectively, and Taipei will host Semifinals and Finals (Knockout Stage). The region has a storied history with League of Legends esports that dates back to 2012 when the Taipei Assassins won the World Championship and hoisted the Summoner’s Cup. Since then we’ve continued to see a growing interest in League of Legends esports and improvements to competitive infrastructure. Most recently 2018 saw the launch of the Vietnam Championship Series, a new regional league which can qualify teams directly into the World Championship. We wanted to recognize the tremendous progress of the region and the enthusiasm of its players by hosting one of our biggest events there. This year MSI will be taking place in Hanoi, Ho Chi Minh City and Taipei. Previous Mid-Season Invitational tournaments have taken place in China, North America, Brazil, and Europe. 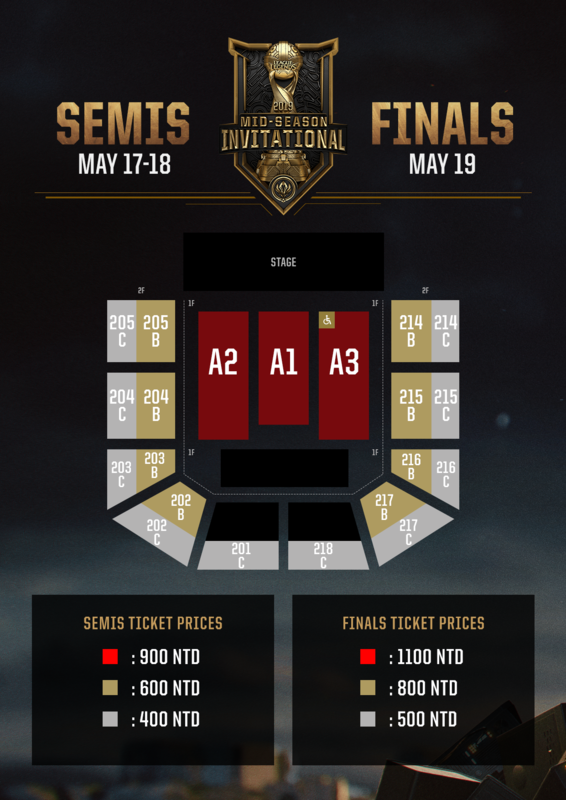 Knockout Stage tickets will be sold via KKTIX (https://riotgames.kktix.cc/events/lol-s66d3a6b). [A Notice Of Membership Rights] Because of our system integration, your KKTIX membership needs to be reverified by E-mail address before you start the process of booking tickets. Please check on https://kktix.com/users/edit see if your E-mail address is verified or not. Please try not to use Yahoo or Hotmail address to register or verify, otherwise you may not receive the Verify Letter. The purchase is available only for our members. Thus, please Register Member then verifies your E-mail address to start the booking process. We recommend that you Set Up your Name and Mobile&Tel. in Registration Profile. Pre-fill first to reduce the tickets booking time and move to the next step. For protecting your rights and interests, we strongly recommend you DO NOT leave Yahoo or Hotmail address during the process of Member Register or Check Out, for fear that your Order Establishment Notification Letter may be blocked, missed or even be tagged as spam. Tickets are refundable with 10% return handing fee up until 10 days before the event, which means tickets must be RECEIVED by KKTIX on and before 2019/5/6 (For example:5/17 event). Tickets RECEIVED on and after 2019/5/7 for refund will NOT be accepted. For KKTIX address, please refer to KKTIX REFUND POLICY. NOTE: If you choose Family Mart as ticket collect method, you will still need to pick up your ticket at Family Mart and send it to KKTIX.